What Kind of Lens Is Used for a Microscope? A concave lens -- also called a diverging or negative lens -- has at least one surface that curves inward relative to the plane of the surface, much in the same way as a spoon. The middle of a concave lens is thinner than the edges, and when light falls on one, the rays bend outward and diverge away from each other. The image you see is upright but smaller than the original object. Concave lenses are used in a variety of technical and scientific products. Binoculars and telescopes employ convex lenses to magnify objects and make them appear closer, but convex lenses don't transfer light accurately; they create distortions and blurs. Binocular and telescope manufacturers therefore install concave lenses in or before the eyepieces to help focus images more clearly for the viewer. Opticians use concave lenses to correct nearsightedness -- also called myopia. A nearsighted eyeball is too long, and the image of a far-away object falls short of the retina. Concave lenses in glasses correct this shortfall by spreading out the light before it reaches the eye, thereby enabling the person using them to see distant objects more clearly. Camera manufacturers use combinations of concave and convex lenses to improve the quality of photographs. The primary lens of a camera is convex, and when used alone, it can cause distortions in the photographs called chromatic aberrations. A convex lens, on the other hand, refracts light of different colors at different angles, creating a fringe effect around bright objects in the picture. Combining convex lens and concave lenses eliminates both undesirable effects. Concave lenses are used on flashlights to magnify the light produced by the bulb. The light falls on the concave side of the lens, and the rays diverge on the other side, thereby increasing the apparent radius of the light source and providing a wider beam. Various types of medical equipment, scanners and CD players use laser beams, and because these are highly focussed, they must often be dispersed in order for the equipment to work properly. 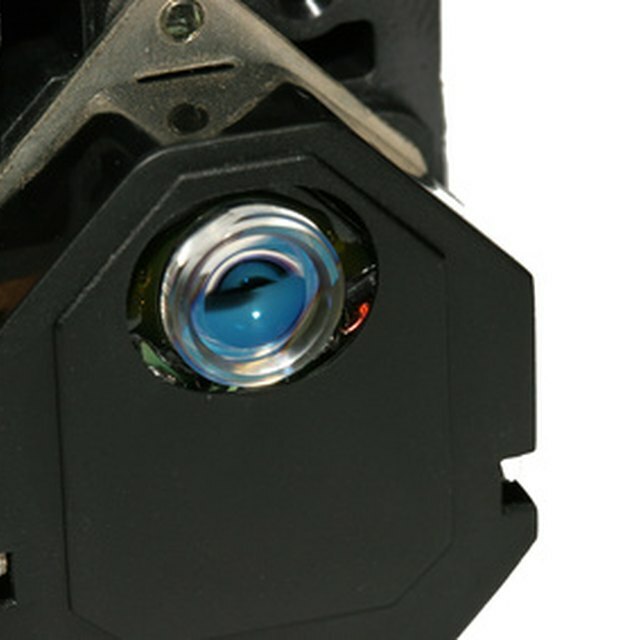 Small concave lenses can widen a laser beam to precisely access a specific area. Concave lenses used with lasers are made from fused silica to withstand the ultraviolet rays produced by the light source. Door viewers, or peepholes, are small security devices that provide a panoramic view of objects and environments outside doors or walls. The view is created through the use of one or more concave lenses inside the device which minimizes the proportions of specific objects and gives a wide overview of an entire area. Based in the U.K., Petra Turnbull has been working as a journalist since 1989. Her articles on the film and book trades have been published in "Screen International," "Dagens Naringsliv," "Film Magasinet" and other Scandinavian newspapers and magazines. She now manages her own book shop. Turnbull holds degrees in law and economics from Goethe University, Germany and Oslo Business School in Norway. Turnbull, Petra. "Concave Lens Uses." Sciencing, https://sciencing.com/concave-lens-uses-8117742.html. 13 March 2018. How Are Concave Mirrors Used?